There are hundreds of divorce attorneys in Florida. Choosing the right one can seem like a daunting task, but choose an accomplished attorney who is on your side, and devotes 100 percent of his practice to family law. Attorney Daniel Forrest represents clients in Fort Lauderdale and throughout South Florida in a wide range of family law legal matters. He is Board Certified by the Florida Bar Association in Marital and Family Law and also Certified by the Florida Supreme Court as a Family Mediator. 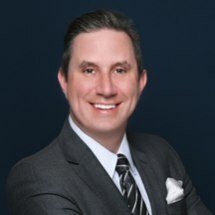 His determination and focus have led to numerous legal accomplishments, including the honor of a 5.0 out of 5.0 Overall Peer Rating in Family Law -- the highest possible ranking given by Martindale-Hubble and serves a testament to the fact that fellow attorneys consider Mr. Forrest at the highest level of professional excellence. He has also been honored with Martindale-Hubbell's esteemed "AV- Preeminent" rating, which recognizes lawyers with the highest ethical standards and professional ability. Additionally, Mr. Forrest has been recognized as a "Rising Star" by Super Lawyers in 2010, 2011, 2014, 2015, 2016 and 2017, a distinction that no more than 2.5% of Florida lawyers receive. Mr. Forrest specializes in all matrimonial and family law matters, including divorce, paternity, premarital agreements, domestic violence, enforcement, contempt, alimony, child support, custody, visitation, parenting plans, time-sharing, equitable distribution, property division, restraining orders, mediation, and post-judgment modifications. His practice is fully devoted to complex marital and family law cases, allowing Mr. Forrest to offer clients the in-depth legal knowledge they may require. His clients consist of successful professionals, physicians, athletes, entertainers, entrepreneurs, businesspersons as well as attorneys. Mr. Forrest prides himself in his ability to settle sophisticated cases without the need for prolonged litigation. When the input of a court is necessary, however, Mr. Forrest has the experience, special knowledge, skills, and proficiency in law to achieve maximum results for his clients. Born and raised in South Florida, he is familiar with the nuances of Florida laws and courtrooms and knows what to expect from the judges here. He has been evaluated by The Florida Bar for professionalism, and tested for expertise. Mr. Forrest is recognized and certified by The Florida Bar as having the highest level of competency and experience in marital and family law. Mr. Forrest is competitive, but compassionate, and always strives to achieve the best results for his clients. South Florida clients are in good hands when they choose to work with attorney Daniel Forrest. Learn more about the results an experienced lawyer can help you obtain by scheduling your initial consultation. The firm can be reached online or by calling 800-642-8160.